The crew hopes that some day there will be researchers of many different disciplines and the chance for others and just visit to experience 'the majesty of space'. According to the crew, naming the Space Station has been hard. There was a call sign - 'Alpha' that was never used in the end. There's been some echo and audio problems on the ISS - and the astronauts had been having trouble hearing the transmission, but things seem to have cleared now. 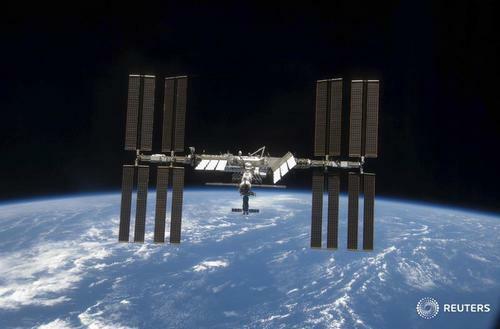 What has been learned on the ISS that would change the way we do space flight? - One of the important things about the Space Space Station is that it is long term. We know the procedures and science that is very important to future exploration and living in our environment up here. Welcome to the news feed of happenings off-Earth. We're going to be following the news feed of the six crew members on the ISS who are celebrating 15 years of human life n the station. Quite the accomplishment! Scientists have found the first evidence that briny water may flow on the surface of Mars during the planet's summer months, a paper published on today showed. Thanks for joining us for that exciting news! Do come back when we have other events and news updates relating to space and activities off Earth. John Grunfeld wraps up proceedings. He says 'We are on a journey to Mars and science is leading the way.' He says that this gives us a sense of our place in the universe and to stay tuned to science, because science never sleeps. Luju describes thin layers of wet soil rather than stretches of standing water. Luju says that our oceans seem salty to us, but the water on Mars is likely to be much, much saltier. A question about the salinity of the water on Mars and if it is known how much water would be flowing on Mars. When asked about the weather - the panel says they have not seen rain on Mars but they have seen snow and ice crystals. The panel says there is a lot more of the planet to explore to see if there are more streaks that might indicate water elsewhere. They need the high resolution imaging to find out more. When asked about what the panel plans to do with the water they joke 'Drink it'. Just a few more minutes left and a couple of questions. 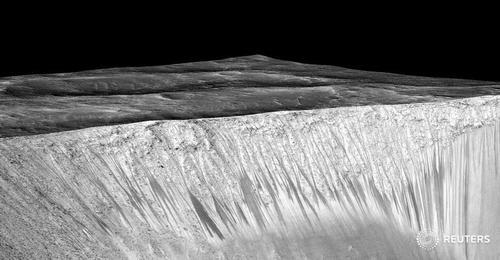 The panel often references RSLs - these are recurring slope lineae or the streaks on the slopes of Mars thought to be cut by water. "If I were a microbe on Mars, I would probably live on high latitudes where there may be fresh water", says John Grunfeld. John Grunfeld talks about altitude on Earth and the thinning of plant life. He says it would be challenging to grow plants on the surface of Mars, but he says there's plenty of carbon dioxide which could support them. A question is put forward as to whether it would be possible to grow Earth crops on Mars. John Grunfeld says - we know there's life on Mars already because we sent it there - no matter how we try to clean our apparatus. We've cleaned the space craft as best we can but we know that microbial life is tenacious. We send the craft to areas that are the least sensitive to extant life. On the Mars 2020 lander there will be a small apparatus that will take in the atmosphere on Mars and create oxygen. John Grunsfeld points out that there's a lot on Mars that could make it a potential habitat, including Nitrogen which is essential for life. He says he thinks there will be a human trip to Mars. 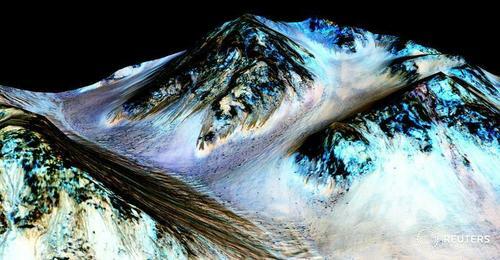 The idea of purifying the water on Mars to create oxygen and whether this would mean sending humans to Mars has been put forward in a question. The Mars orbiter is sending back high res imaging - but has only sent back a small percentage of the surface scans. In 2020 the next NASA rover is planned to explore Mars. 'That's just the beginning' says John Grunsfeld. In 2018 a lander is planned with a drill to look under the surface for organic matter. Exciting! A question about possible habitats on Mars. John Grunsfeld says there's the Insight Lander which will launch next year and take a peek inside Mars. Alfred McEwen says the chances of life on Mars have always been very high. The inevitable "life on Mars" question comes right out of the gate! This should be interesting. Mary Beth Wilhelm is a Civil Servant in the Planetary Science Branch at NASA Ames Research Center. She's describing the perchlorates - or salts - that are distributed on the surface of Mars. She says that the water is likely to be briny not pure. Luju Ojha is talking now down the line at the event. The slides that Dr McEwen is showing describe seasons on Mars - like the ones we have on Earth with a kind of summer and winter. Dr McEwen is going over the clues that point to possible water on Mars. The event is turning to scientists on the phone. Alfred McEwen is the Principle Investigator. He's describing spectral evidence for hydrated salts recurring on slopes on Mars. He's describing research into the hyrdological cycle of Mars. He says under certain circumstances there was water on Mars. Dr. Jim Green (in the pale shirt with the Mars logo) is the Planetary Science Division Director. John says that the news today means there could have been life on Mars. He says that through measurements he believes Mars was very much like Earth, but something happened to Mars and they are still asking if there was once life on Mars. 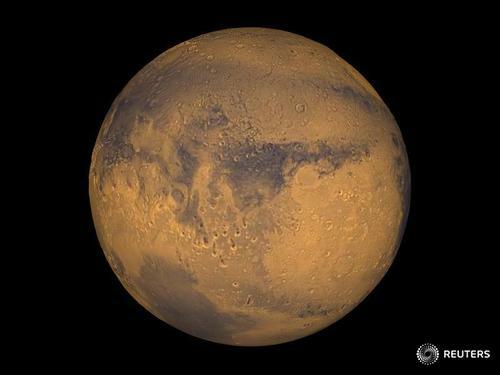 John Gurnsfeld says the news is about water on Mars. John Grunsfeld kicks off the presentation. He's a physicist and a former NASA astronaut. John has been on five space shuttle flights. He says 'We are going to Mars." and he hopes that soon, humans will go too.